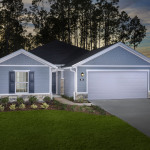 JACKSONVILLE, Fla.--(BUSINESS WIRE)--KB Home (NYSE: KBH) today announced that the home builder will be offering its KB Smart Home System as an included feature at two North Florida communities: Treaty Oaks in St. Augustine and Bartram Creek in Jacksonville. The KB Smart Home System, which leverages the power of Google Assistant™ to integrate a curated selection of voice- and smartphone-controlled features, will also be available as an option for all buyers who purchase a new KB home at any of the builder’s other communities in Jacksonville. For those in the market for a new home in North Florida, the home builder will be demonstrating the convenience and functionality of the KB Smart Home System at its Treaty Oaks model home complex in St. Augustine. The KB Smart Home System provides a robust ecosystem that can integrate an ever-expanding selection of compatible smart devices and features, many of which will be available at select KB Home Design Studios. Powered by Google Assistant, homeowners with the KB Smart Home System will be able to control many of the most important functions of their new home and automate routines to their individual preferences to live more comfortably and efficiently. KB Smart Home owners will be able to control their smart devices with spoken commands to their smart speaker or with a tap of a smartphone touchscreen, allowing them to easily perform tasks such as adjusting the temperature of their home or checking who is at the front door. The KB Smart Home System features top-of-the-line products and is designed to evolve as smart home technologies come to market, keeping the KB Smart Home owner on the leading edge of the connected home revolution. Additional smart home products that use the best of today’s advanced technologies will be available at select KB Home Design Studios. Home buyers can choose from a wide variety of options, including connected appliances, light controls, motorized window shades, door locks and more to personalize their new KB homes and create an easier, more intuitive and sustainable lifestyle. 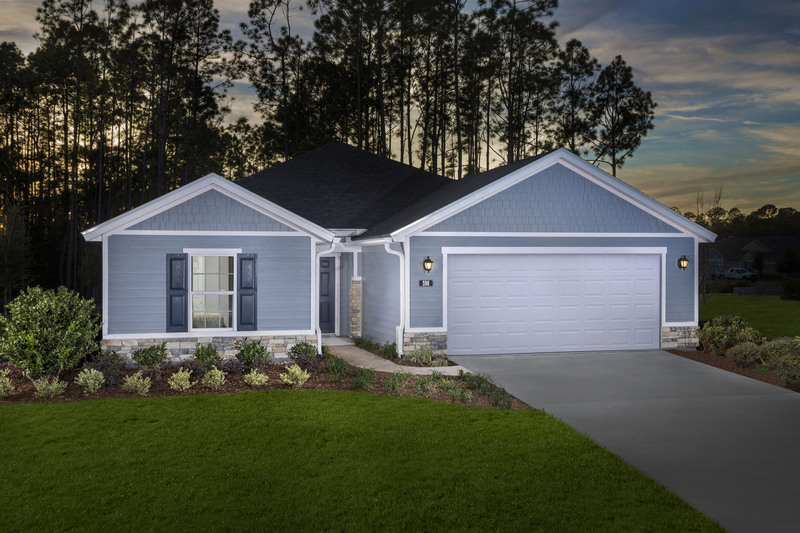 KB Home will host a smart home demonstration at the grand opening event of the new Treaty Oaks model home on Saturday, January 26, 2019 from 11:00 a.m. to 2:00 p.m. Treaty Oaks is located at 590 Tumbled Stone Way in St. Augustine. For more information about the KB Smart Home, visit kbhome.com/kbsmarthome.